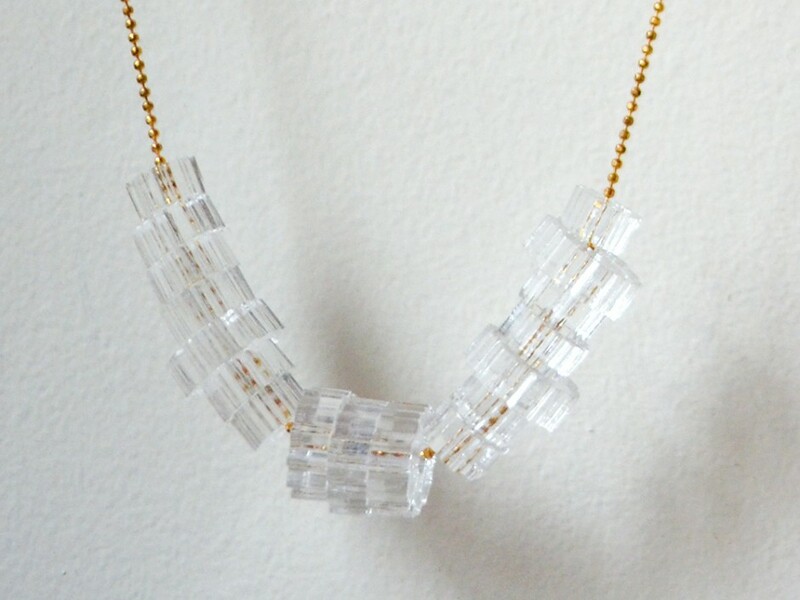 Custom designed and laser cut clear acrylic beads in the shape of amorphous cogs. 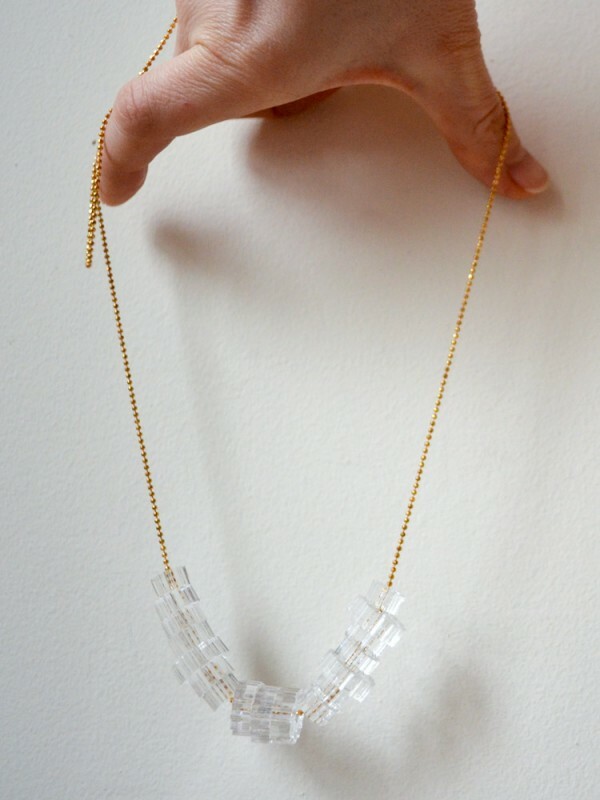 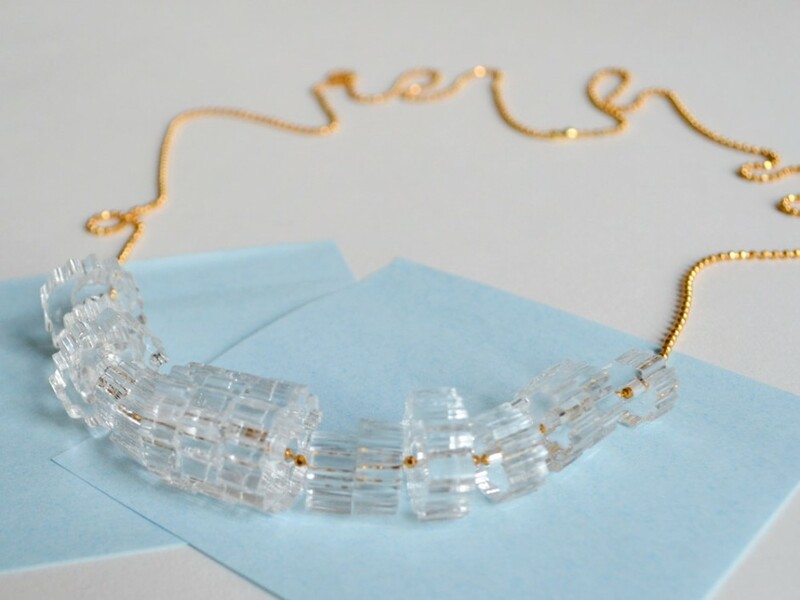 The clear beads catch the light nicely and look like crystals or icicles! 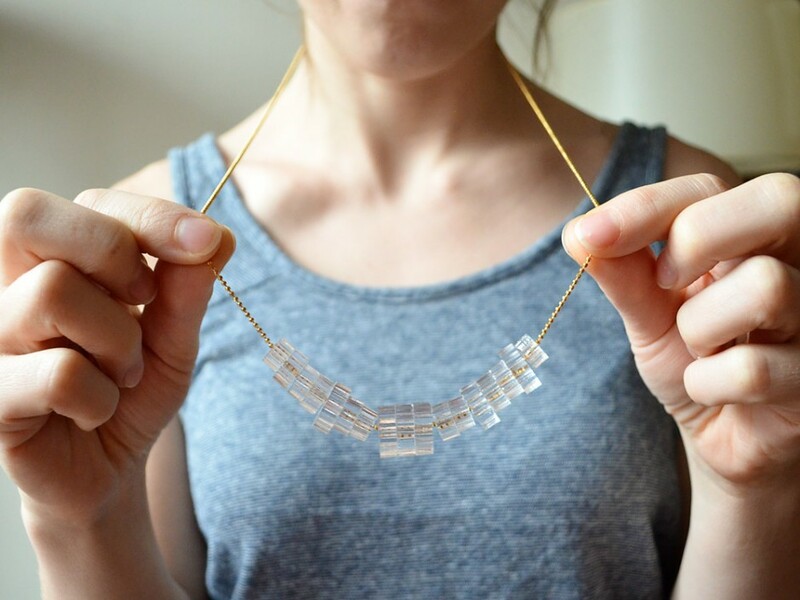 *Laser cut transparent acrylic cogs range in size from 3/8″ to 5/8″. 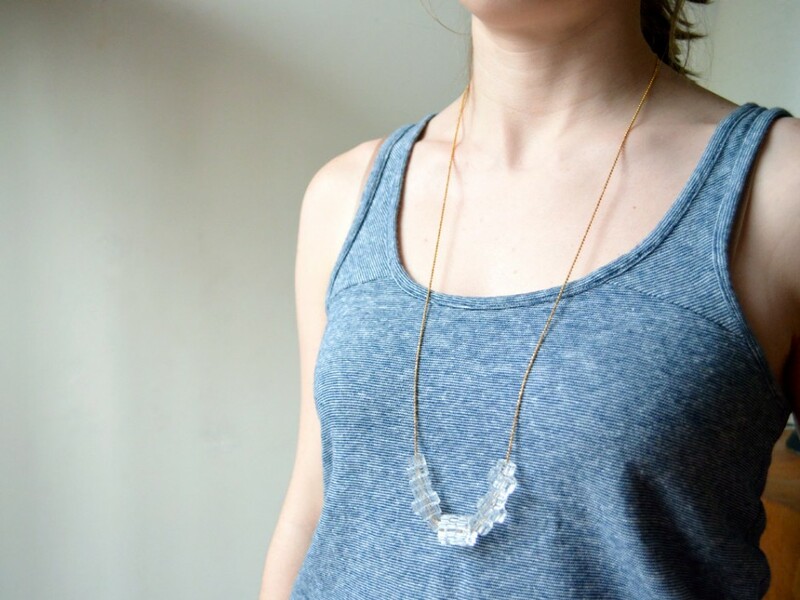 *The faceted diamond-cut ball chain adds extra sparkle.